I found myself in some of the lowest light pollution in the state on a work trip down to SE Colorado and couldn't resist the temptation to play. What an amazing night sky they have east of Trinidad! 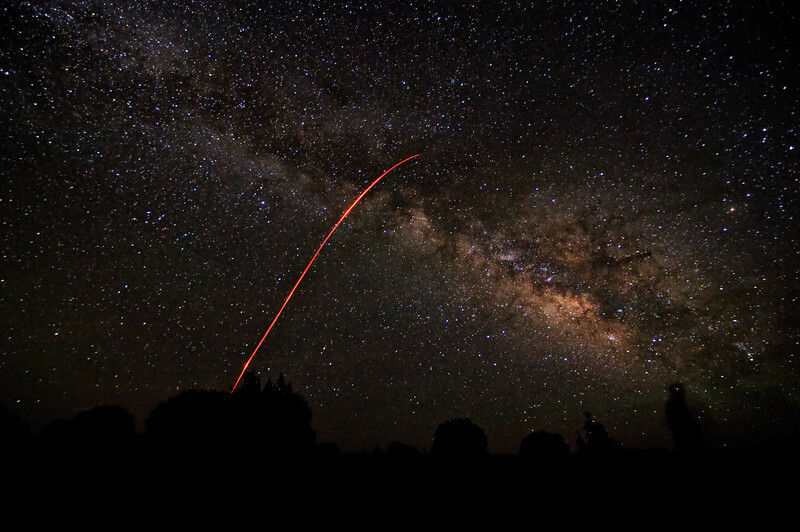 Shot Notes: A single red LED light paint suggests a rocket careening into space. This was a single shot at 30 seconds, f/2.8, 1600 ISO at 11mm. Watch for a star trails version down the road.